Weds 25th October Full Council Meeting update, to assist you in locating the Agenda, Minutes, and Audio recording of the meeting on the Council website (links below). Also the questions and answers below from both the Public and a Councillor that mentioned the Lower Thames Crossing, with many questions relating to the 32,000 proposed new houses the Council are going to build, as well as air pollution in Thurrock. Can the Portfolio Holder for Transport provide a high level transport plan that supports 32,000 new homes within the borough of Thurrock that does not addadditional burden to the 17 air quality management areas already identified in 2016? infrastructure plans to assist in the proper delivery of that growth will be progressed in parallel that will include transportation needs related to specific locations where growth is agreed, as well as Borough wide transport needs. The Local Plan will be subject to a full environmental impact assessment which will address a wide range of issues, including air quality. We are not at that stage in the process as yet, but I can assure you that the need to undertake this work is fully recognised. Thank you Councillor Little. Just a quick supplementary question. Will the Portfolio Holder for Transport support trams in future transport needs? Thank you Mr Mayor. Thank you for your supplementary question. I will look at reviewing the need and support, anything that will help this borough in the future but it needs to be something engineered in a meaningful way. 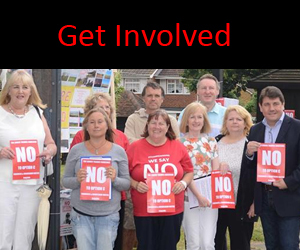 Where does the Leader of the Council propose to build 32,000 new homes in Thurrock? Thank you Mr Mayor and thank you Ms Blake for your question. You will have to excuse a bit of the pre-waffle but it is important. The future growth of the Borough is a very important issue for all residents and businesses. Housing development is an integral part of that growth not least to provide new houses to meet the considerable needs of demographic growth and change in the Borough. A significant part of that growth is driven by existing residents and businesses. Since the original regional assembly imposed 18,500 homes on us in 2001, Thurrock has been very successful in creating the jobs that were put in at the same time. Unfortunately, we’ve not been as successful with the new homes. The way that we currently create new homes is to assess it in relation to the amount of the growth that we have through business growth. stage of consultation took place in February 2016. The second stage which is called Issues and Options will be considered by Council soon before going to consultation. There will be a further two consultations before it is submitted in 2019. Now, all three groups have already had one look at the proposals. I’ve asked for a lot more information, the very second we have that and we’re in a position to move to announce that, we will do at Full Council. Thank you Councillor Gledhill. Will it be beneficial with the building plan for these houses if the Lower Thames Crossing is approved and opens up the green belt land? Thank you Mr Mayor and thank you for your question. It makes absolutely no odds. 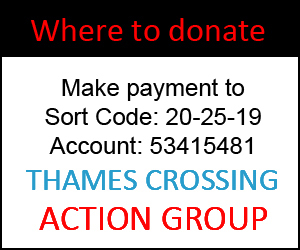 The requirement for the 32000 homes comes from the growth we already have and already planned irrespective to whether the Lower Thames Crossing, which every single Member in this Chamber still remains in objection to, happens. The Mayor asks Councillor Gledhill to clarify Group Leaders have had sight of the last consultation for the new homes. Councillor Gledhill believes this was done through each individual party group meeting. Further to my question to the Portfolio Holder for Transport, Councillor B Little on the 27 September 2017 and on reading the Thurrock Transport Strategy for the period of 2013 to 2026 what reassurance can the Council supply to disprove my belief that it will fail to deliver on the ‘Health and Well-being’ and ‘Protecting the Green Environment’ aspects of the Strategy due to possible further massive road expansions, the requirement of further housing and as it has also been claimed by the Portfolio Holder for Education and Health “that there was only so much the Council could do on their own”? Yes I do Mr Mayor. As a Thurrock resident and Chair of a local community forum, I would like to congratulate Thurrock Council on receiving a recent award for an innovative action of fitting cameras to refuse collection vehicles. A simple idea but costly. Can I please request that we now stop undertaking surveys, monitoring, analysing, discussing, meeting etc., which has been going on for many years and just take some action on our well known concerns? Let’s show the rest of the UK that Thurrock does act and not be seen as thinking, I quote, ‘thinking we may take action at some time Council’. I will consider an answer is not sufficient at this stage. I believe I wasn’t asked to answer but I will do. Thank you Mr Mayor, thank you Mr Towlson for your supplementary question. What I would like to say is that, as an authority and the reasons that we receive awards for doing things is that we do them in a way which is based on getting information, getting data, presenting a case and getting funding delivered to us sometimes, not from a begging bowl because we’re desperate but because we need things to happen in a certain way. We can only do that by progressively putting together information that supports our requests and that information can come from something that has been asked of us to have a look at, like pothole spotting for instance. It can come from us going into the new level from two to three of H Met which is the new highway maintenance efficiency programme. If we don’t do these things, we are penalised by government which is right because they’re giving us the money to do some repairs and do things in a professional way. If we don’t present the evidence in a professional way, we won’t be able to get that money. Not only that, we will start to lose funds. At the last public Council meeting it was stated that 32,000 homes were to be built in Thurrock, can the Council tell me please where is the land situated to build these houses? you’ve just heard and will be presented to Council very shortly ahead of the consultation. I hope that this plan receives cross party endorsement as just for the purpose of the consultation to make sure we hear from residents across the Borough. Throughout this wide consultation, which will underpin the local plan, in its broad locations for where the new housing growth can be located will be brought forward at that time. Can the Council provide guarantees that these properties are intended for the people of Thurrock and not just to meet the demand of the overspill from London? proud of this Borough and want to make sure this Borough is and now it’s been a beacon of growth. So we can’t stop job growth, I don’t want to stop job growth. And then there’s another interesting fact that I heard today. We’re the last big housing expansion that built Ockendon in the 50s from when Harold Mcmillan was a Housing Minister then he went on to the Prime Minister, we’re now building hundreds , thousands of houses per year. This is a big undertaking to take across the country and Thurrock’s got to play its part in this next big housing expansion. But 60 years ago when that was built, 2.5% of people lived on their own. Now, the current people, that is now at 12.5%, live in separate lives. That’s a massive strain as well of that 75% on our living circle. We live separate lives now, that means there’s a 15 – 20% extra houses we’re going to need, just to support the new way people live. So, we can’t just stop and get off, we’ve got to think about this and that is why the consultation is critical. We’ve got to move forward and actually got to have a sensible conversation on where we want these. Does the Portfolio Holder for Housing agree with me that it is only with the go ahead for the New Thames Crossing that he will uphold his commitment to 32000 new homes in Thurrock? Thank you Mr Mayor and thank you Councillor Rice for your question. To be honest, I read the first nine words and thought the answer was going to be no anyway. Surprising enough, I was right. No, I do not agree with you that the 32000 homes is dependent on the Lower Thames Crossing. I believe this has already been answered once this evening from a very insightful question from a member of the public and I don’t intend to take up too much of Members’ time reiterating what I’ve just said. I do and I’m really pleased about the Portfolio Holder’s answer which is he doesn’t agree and I think that’s absolutely great and so will the residents of Thurrock who don’t want another crossing in Thurrock. We will look forward to the plan coming forward to this Council with no reference points to junctions on or off the proposed new crossing and no settlements based on this premise. So thank you very much Mr Mayor. It’s a statement and I’m not going to take up time so thank you very much Mr Mayor. But there is an agreement there Councillor Rice.